Morale could use a little boost here at PopSci HQ this evening—our long awaited first office softball game has been postponed due to the approach of inclement weather. Alas, our poor opponents will have to wait another week to face our softball wrath. One good thing has come out of Mother Nature's cruel trick, however: the discovery of the National Weather Service's free Doppler Radar service on Google Earth. If you ask me, Doppler radar is one of the finer developments of our time. From switching over to the local cable channel that used to show all-radar-all-the-time as a kid to witnessing the news channels' eternal Doppler arms race (New! Doppler Super Hawk Vision 3000! ), much ballyhoo has always surrounded our ability to visualize the approach of oncoming storm clouds and prepare ourselves accordingly. That is really good news. 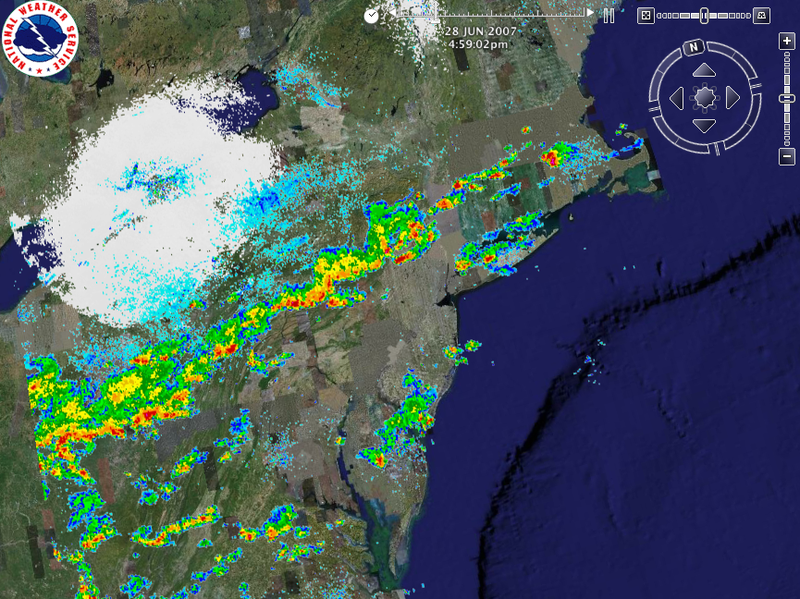 I like the weather radar on google earth. Buy Google Plus 1 has learned a lot of mistakes, especially that of Buzz, and one of those things, they learn that there is a real marketing potential of social media product that deals with the concerns of citizens to privacy and how their personal information shared. This is something has been struggling since it began and continues to plague them until now. Google plus one is based on creating a network of individuals who are going to share their suggestions. Whenever someone from your current network and a web site that you find in Google, it is possible to see it. You will probably see who made the recommendation. Google has always introduced new features to its service, one of it was of course Google Arth now it allows you to do this so cool. Google also introduced the new feature called +1 Button which allows anyone to vote for a site, you can get this+ +1's as part of your marketing strategy and make your site or page more popular and gain more exposure. I'm very glad to find the site.It's really a good site and I can find so many interesting things and news and see so many good people,of course get so much help from here.It's really a amazing experience.very good thanks . wow thats really possible ?